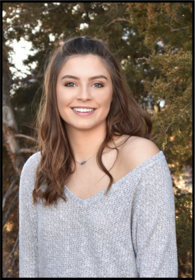 Idalia Senior Megan Waitman has been working for the goal of Boettcher Scholar since the seventh grade. The Boettcher Scholarship is a merit-based scholarship for Colorado High School seniors. Annually more than 15,000 students apply, but with only 42 scholarships to give out. Since 1952, the Boettcher Scholarship has awarded up to $65 million in scholarships to Colorado High School students. The Boettcher is a full-ride scholarship to . . .
100 DAYS! On March 6, the kindergarten class got to celebrate their 100th day of school! 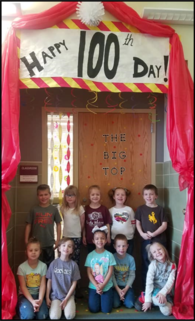 The day is filled with all things 100, and this year the students celebrated under the Big Top. The day started with our traditional 100 balloon pop where the students have to pop 100 balloons by sitting on them. We made a list of all the things we’ve learned in 100 days…like plural words, complete sentences, addition, and . . . 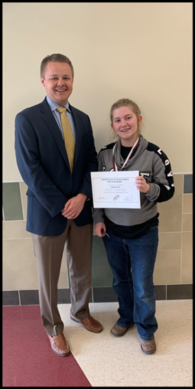 DAWN RICE—WOLF OF THE MONTH STUDENT PROFILE Dawn is a 15-year-old freshman on the High Honor Roll and 4.0 student. Dawn names Ms. Morgan Reese (Ag), Mr. Colby Newton (PE), Mr. Daniel Weirich (Social Studies), Mrs. Su Wright (English), and Mrs. Sherri Ramseier (Language) as her favorite teachers. Some of Dawn’s hobbies and interests outside of school include the swim team, softball, and playing the piano. Dawn looks up . . .